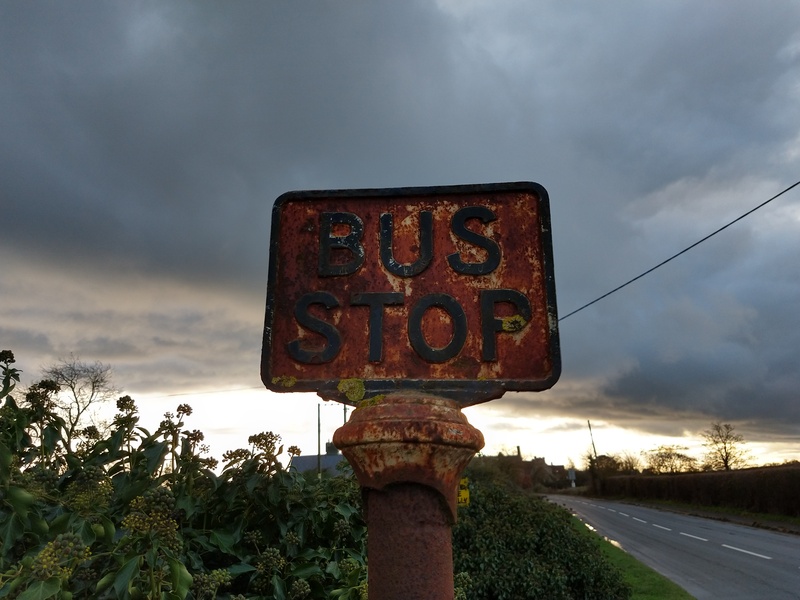 Rusted bus stop sign in the village of Curbridge, near Witney. Back in December last year, a group of us arrived in a holiday cottage near Witney in Oxfordshire to celebrate a friend’s 40th. It turned out that some of us had stayed nearby a few years earlier. We even had lunch in the same pub on the Saturday lunchtime. Near the pub was this old, rather rusty bus stop. It’s an old relic of another era. No buses serve it any more. It’s quite possible that no one knows who installed it, and that no one’s sure who owns it. And certainly no one has been in a rush to remove it. For it is still there. Somehow I doubt anyone would actually notice if it went. But I hope it never does.